Asphalt sealcoating is one of the most important elements for property management owners who are in charge of maintaining asphalt parking lots. Applied in two thin coats, pavement sealing is used to protect pavement surfaces against many types of elements including gasoline, oil, salt, water, and ultraviolet rays. At Asphalt Pavement Solutions, we take pride in being sealcoating experts, and we serve Bucks County, Burlington County, Camden County, Mercer County, Monmouth County, and Montgomery County Pennsylvania and New Jersey. Whether you need shopping center asphalt repairs or sealcoating for your residential driveway, you can count on us. Asphalt sealcoating provides a jet black finish and fresh new appearance that improves the aesthetics of any business, office complex, industrial complex, apartment complex, and residential home. The sun’s ultraviolet rays bake the strength and flexibility out of asphalt, which can leave it brittle and full of hairline cracks that make the surface vulnerable to the invasion of water. Sealcoating protects asphalt from the elements of time and extends its life cycle. Along with proper maintenance, it can even double the life of your pavement. Further surface deterioration occurs from gas and oil leaks that soften and pit the asphalt. These stained areas combine to give an unsightly and uncared for appearance to a faded surface. Asphalt sealcoating will guard your pavement from these chemicals while keeping your property safe. 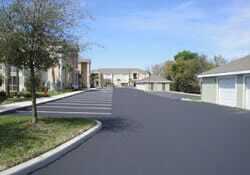 Asphalt sealcoating fills and covers the voids in your pavement’s surface. The resulting smooth texture makes the superficial area easier to maintain all year-round. For example, snow is easier to remove from an even surface, and sweeping is far more effective on a smooth surface. The price of asphalt will always be affected by crude oil prices, which fluctuate when supplies vary. 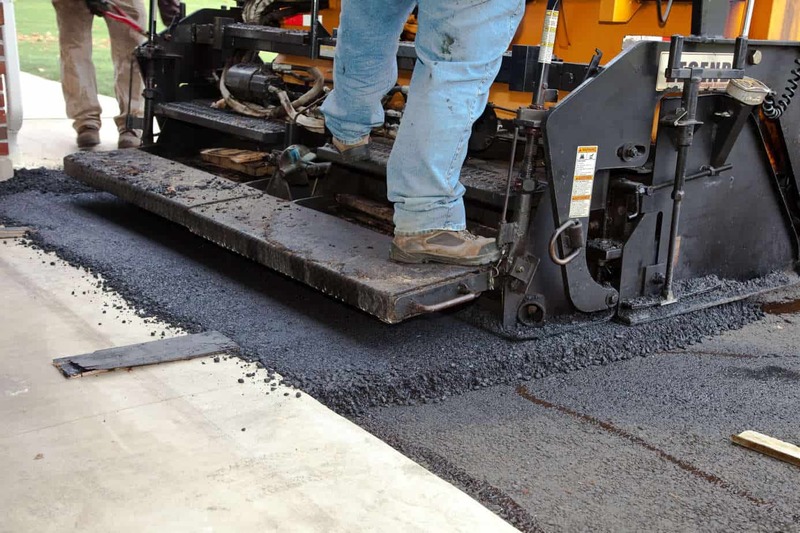 Asphalt sealcoating preserves pavement and helps prevent the need for costly repairs in the future. Before asphalt sealcoating, any structural failures or cracks on the pavement must be repaired. All potholes must be removed and replaced, and cracks must be cleaned and filled. The entire area must be swept using wire brooms and high-powered air blowers. Oil spots must be cleaned and primed. This forms a bond between the asphalt and the sealer. Black Diamond Federal Specification material is mixed with 3-6 lbs of sand and 3-5% Boost latex additive. All non-asphalt edges will be applied by hand, keeping your curbs and sidewalks free of sealer. Coat 1 is sprayed with a high-pressure hand wand or spray bar deepening on the size of the job. Coat 2 is applied AFTER the first coat has adequately dried. The surface should not be used for 24 hours after second coat application. 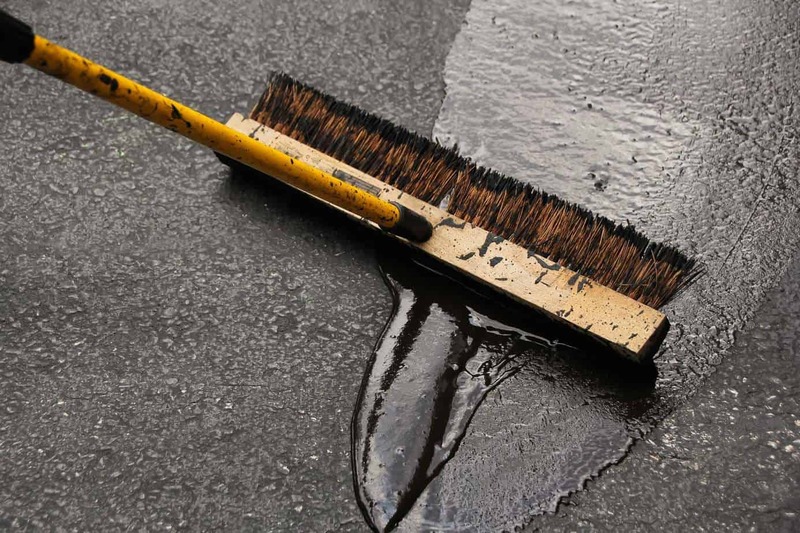 Asphalt sealcoating should only be performed during the proper weather conditions. The recommended air and pavement temperature should be at least 55 degrees Fahrenheit and on the rise during sealer application and for 8 hours afterward. Traffic should be kept off a newly sealed surface for a minimum of 24 to 36 hours to allow for drying (curing) time. If this timeframe is not practical, Asphalt Pavement Solutions will perform asphalt sealcoating in separate mobilizations to maximize convenience. It is also important to refrain from using sprinklers near the area, hosing down, or washing the area for 48 hours before and after work is completed. 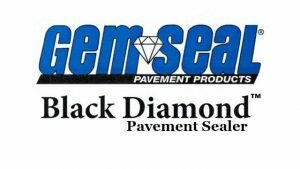 Asphalt Pavement Solutions is an applicator and distributor of GemSeal/Amguard pavement products! Contact us to inquire about our asphalt sealcoating services. Since 1983, we’re proud to be serving Burlington County, Bucks County, Mercer County, Monmouth County, Montgomery County and Camden County in New Jersey and Pennsylvania.